CONCERNS HAVE BEEN raised about the coastal rescue services in Kilkee, Co Clare and their capacity to deal with the influx of tourist numbers during the summer. Local TD Michael Harty told the Dáil that Kilkee is suffering from “structural, operational and funding issues in the supply of marine sea rescue services”, and that there were several incidents where the Coast Guard couldn’t respond to emergency calls. These are essential services and a vital component for those who make a living from fishing off our coast, those who engage in recreational activities and our tourism industry. Since the death of Coast Guard volunteer Caitriona Lucas, who drowned off the Kilkee coast while on a search-and-recovery mission in September 2016, there hasn’t been a full Coast Guard rescue service. Harty said that the pared-down service was putting the lives of locals, tourists, and those who use the coast frequently such as fishermen, at risk, mentioning six incidents in Kilkee last year where “no sea rescue was available from the Coast Guard”. “As a result, boats from the diving centre and recreational boats had to go to the assistance of those in difficulty. That is unacceptable,” he said. Local fishermen and tourists are very apprehensive about putting to sea without having proper Coast Guard rescue back-up. Responding to Harty’s request, the Minister for Transport, Tourism and Sport Shane Ross said that he would inquire whether further necessary cover could be provided in the weeks and months while awaiting a permanent solution to the problem. Ross said that the reason for the restricted Kilkee’s Coast Guard service (which had originally been a “search-only unit”) was to allow for crews and volunteers to be trained. “Since the accident, in the interests of ensuring the immediate safety of Kilkee volunteers, the unit has been restricted to shoreline searches and inshore boat searches using a soft inflatable rescue boat known as a D-class lifeboat. This is to allow time for the training of new crews and for existing members to be recertified to a sufficient standard to operate the more complex rigid inflatable boats, RIBs, which can venture further out to sea or into more challenging conditions. He said that other emergency units such as the Kilrush RNLI lifeboat, the Aran Islands all-weather lifeboat, and the Ballybunion community rescue boat unit would all service the area. 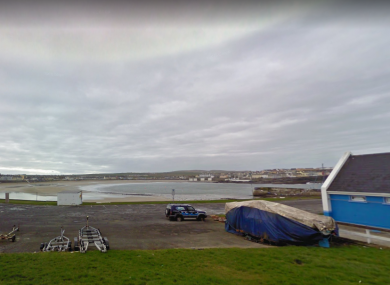 But Harty said that there were concerns about how the service would cater for the influx of tourists in the summer, who would engage in water sports and increase the number of people the Kilkee Coast Guard unit would service. “…Just having shore-based activity is not sufficient to supply a rescue service in a seaside resort like Kilkee. Kilkee has a small population in winter. In the summer, however, the number of people there can rise to 25,000. These individuals avail of the sea-based activities on offer in Kilkee, which is a major tourist attraction. Not having proper sea rescue services is completely unacceptable. The Minister said that he was “mindful” of the concerns raised but said the full safe RIB service will be restored when the unit is ready “but not beforehand”. I hope it will be done with haste but with care and prudence as well. “The [Kilkee] unit has a rigid inflatable boat (RIB) on station which is currently deployed as a training boat. This will not be made operational until the unit has attained the necessary team competencies. These competencies will be assessed at an Operational Readiness Audit when the Unit is deemed ready in all respects. This is in line with current Irish Coast Guard boat operations policy for all its Units. “Kilkee Coast Guard Unit (CGU) is currently resourced with a five-metre inflatable boat which can travel at 20 knots. The boat, commonly called a D-Class boat can be used to respond to emergencies in the vicinity of Kilkee. D-Class boats have been successfully operating as lifeboats for over 50 years. Kilkee and its surroundings are comprehensively served by the Coast Guard helicopter in Shannon, RNLI lifeboats at Kilrush and Inis Mór, a Community Rescue Boat at Ballybunion plus Doolin and Ballybunion CGUs. The circumstances surrounding the death of Caitríona Lucas are currently under investigation by the Marine Casualty Investigation Board and the Health and Safety Authority. Email “'Unacceptable': Kilkee Coast Guard could struggle with the influx of tourists, Dáil told”. Feedback on “'Unacceptable': Kilkee Coast Guard could struggle with the influx of tourists, Dáil told”.